Sori Yanagi is one of today's most important Japanese designers. Yanagi liked to use natural materials such as wood, stone and steel for his sculptures and furniture. 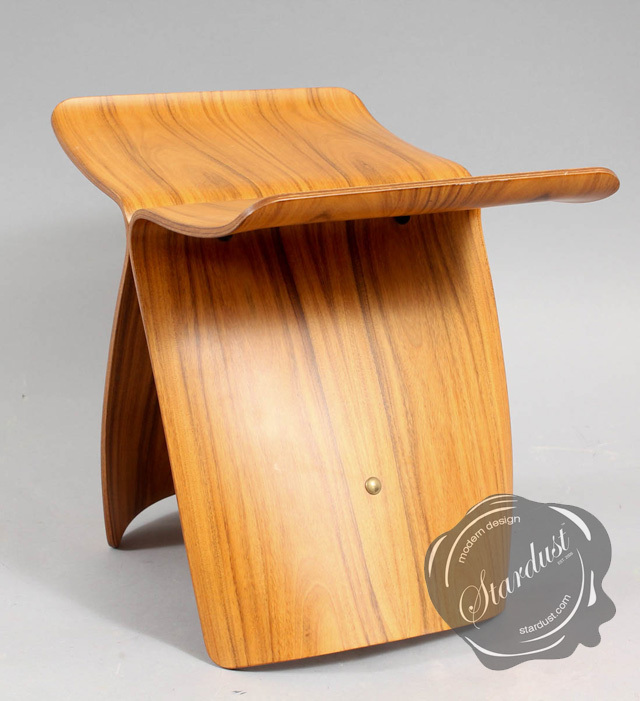 With the series "Butterfly", from 1954, he succeeded in lending such an everyday material as maple wood a new aesthetic dimension. 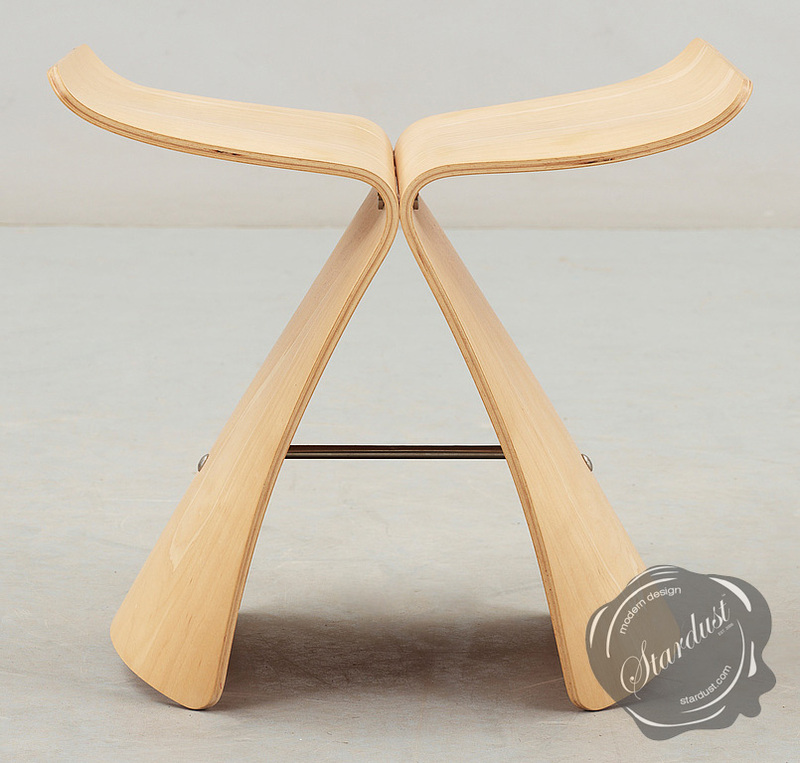 Although this stool appears unbelievably simple "Butterfly Stools" are constructed with the designer's care as well as being very robust and stable. 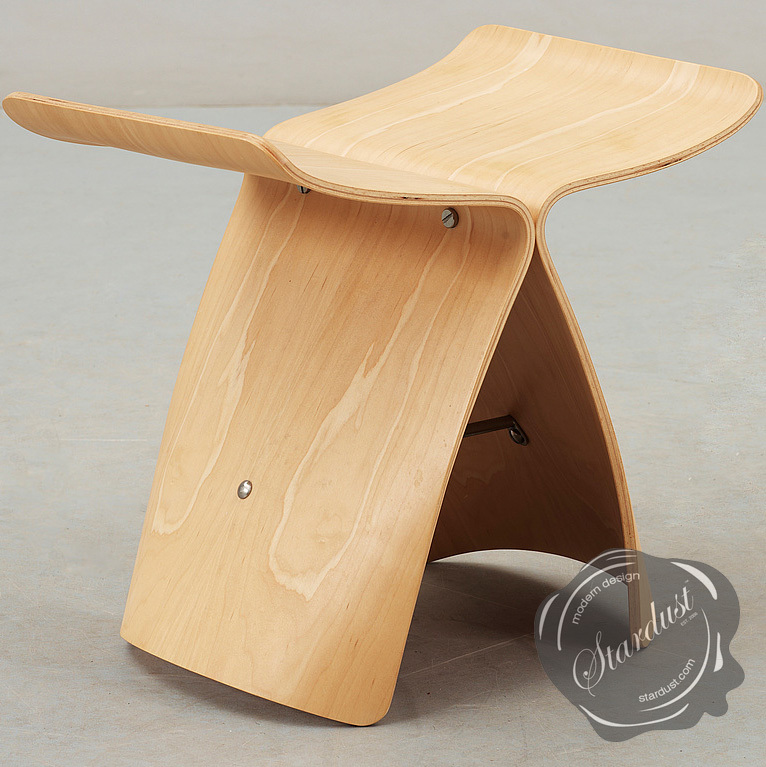 Yanagi Butterfly Stool by Vitra from Stardust. 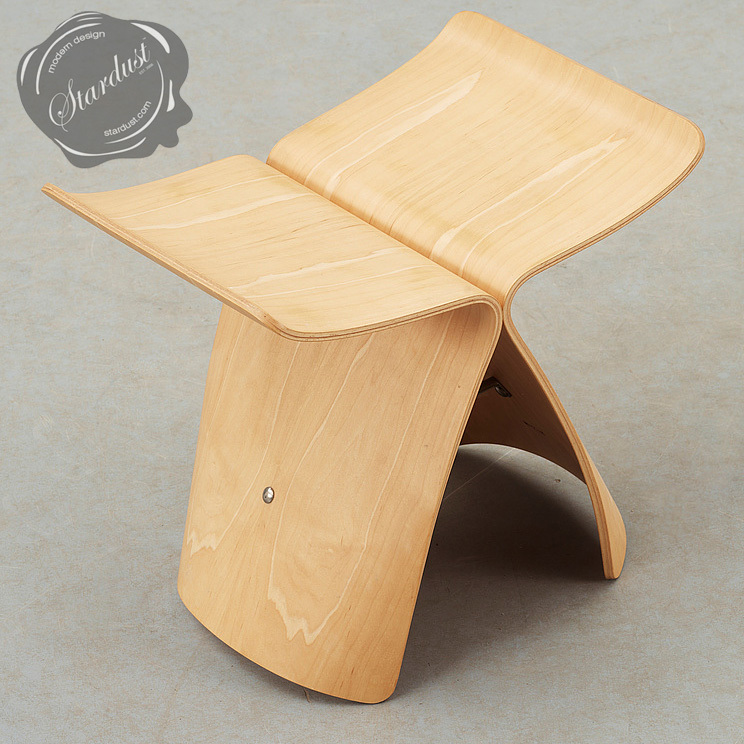 In a totally splendid style The Butterfly Stool blends Japanese shapes with the technique developed by Charles & Ray Eames of shaping plywood. 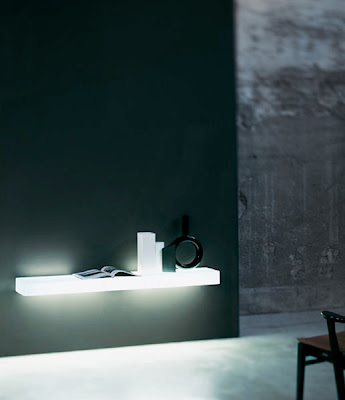 The gently curved silhouette is reminiscent of the wings of a butterfly. 2 layers of bend plywood are held together by hidden minimalist screws with a metal rod in its center. 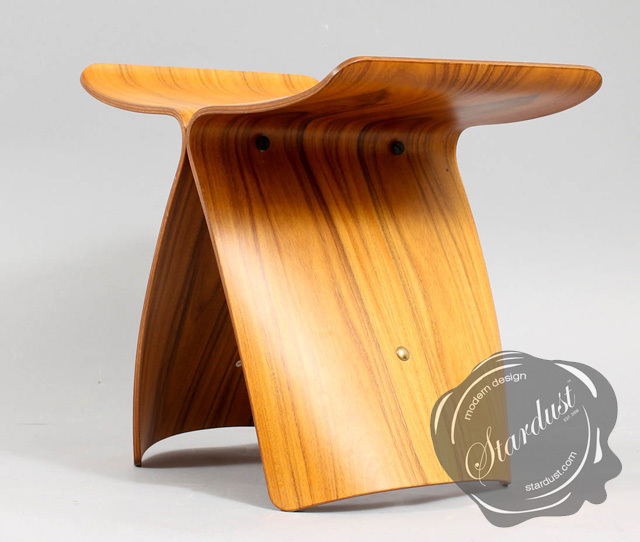 Two models from the series - Butterfly Maple, and Butterfly Rosewood - are now being offered on sale by Stardust. The most celebrated designer in Japanese history, Sori Yanagi has single-handedly changed conventional ideas about furniture design in Japan. 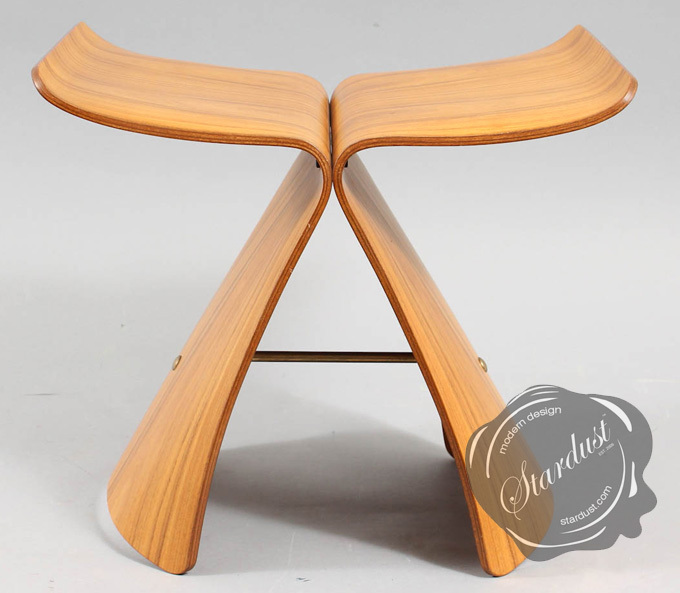 Sori Yanagi Maple Butterfly Product Speficiations - Description - Prices and Instructions: Butterfly. 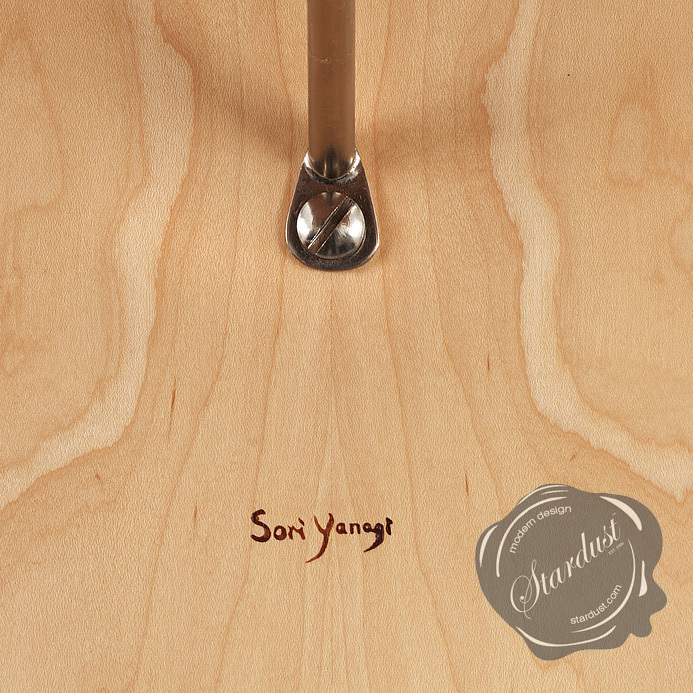 Sori Yanagi (not a reproduction) - the original Butterfly Sale only at Stardust. 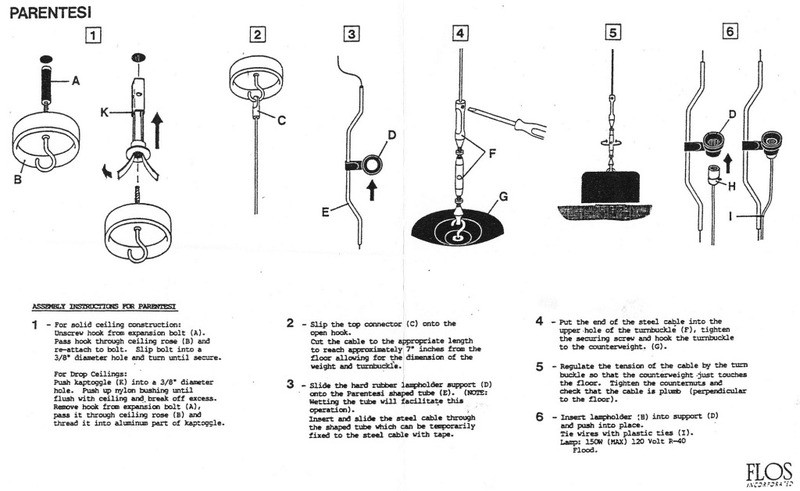 Design: 1954. 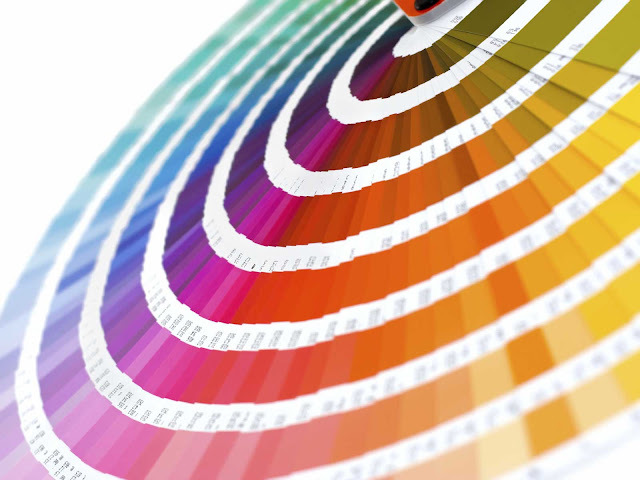 Production: since 1954-2014. 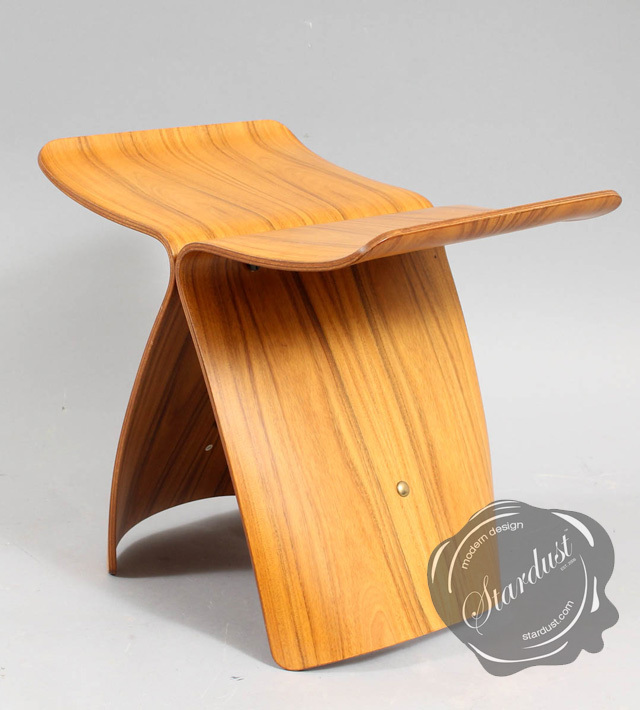 Manufacturer: Vitra/Tendo Mokko Co., Ltd., Japan Tokyo Dimensions: 41.5 x 47.5 x 34; seat height 35 cms. Material: Plywood. Price: $799.00 (on sale after discount).